Time to look ahead to 2020. 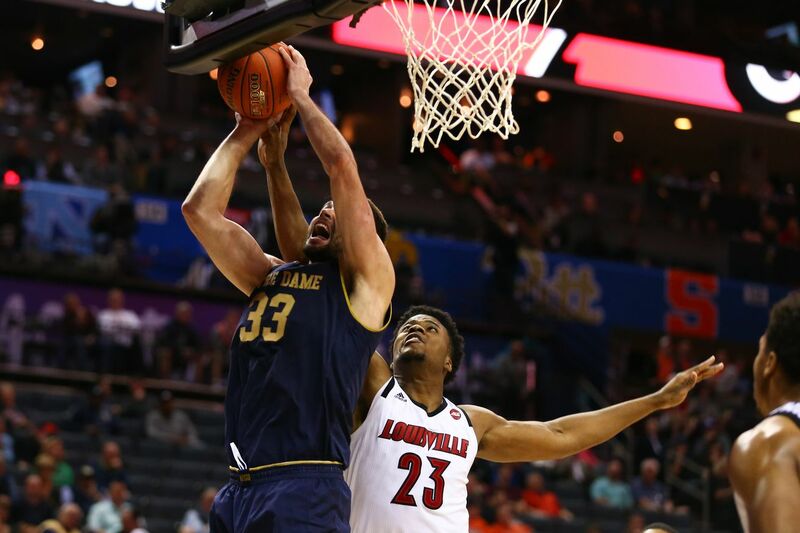 It is officially time to move on from the 2018-2019 Notre Dame Fighting Irish basketball season. This past year was a disappointment and there is only one way to look. Forward. A very important offseason awaits the Notre Dame basketball players. It could be one that shapes the future of the program for the next 3 years. The big question I have is, exactly HOW will Notre Dame get back to their winning ways? The first thing I want to see is leadership in crunch time. Even with Notre Dame’s offense struggling almost all year, they managed to play in a number of close games. The problem was that they did not close any game strong. It was clearly a weakness of this team. There seemed to be no accountability during these times. Not one player knew where to look or who was going to take and make the big shot. At times Prentiss Hubb would jack up consecutive shots early in the shot clock. There were time John Mooney would try to fight through aggressive defenses and take tough shots. Notre Dame was not prepared to win close games. 2019-2020 will be a season where the Irish need to have a clear #1 guy on the offensive end in close games. The biggest weakness I saw this year with Notre Dame was the inability to score with the best teams in the ACC. Yes, they lacked some athleticism and depth, but the Irish were very poor at putting the ball in the basket. The lack of shooting is not common for a Mike Brey team. It was a total mystery at times. T.J. Gibbs and D.J. Harvey have to improve at taking correct shots within the offense, and making those shots within the offense. John Mooney was a pleasant surprise and worthy of being 3rd team All-ACC. But Notre Dame needs a guy who can beat you off the dribble and create for others. The offense needs a total reboot. The first step is to get players on the court who are confident knocking down shots. Which freshman will step up and take a huge leap year 2? If Notre Dame wants to be any good, they’ll need someone from the freshman class to make a John Mooney like improvement. I have no clue who this will be. Every freshman had their moment where they showed they can play high level division 1 basketball. They also had their moments of looking lost and overwhelmed. Mooney showed a drastic leap is possible. The only question is, who will take it?